An authentic chess legend, this is certainly the most fitting definition for Oleg Romanishin. The Ukrainian Great Master recently decided to take part in the 6th Chess Festival of Cattolica and we would like to honor his participation to the tournament with an article that recalls this immense figure that has given so much to the world of Chess. Born in Lviv in 1957 the young Oleg turned almost immediately, in his childhood, to the game of chess. Many honors and awards were given to Romanishin as a young man. After winning the European Junior Championship in 1973 at the age of 15, he obtained the title of International Master the same year. 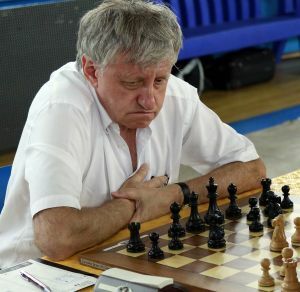 In 1974, he was a member of the victorious USSR team at the World Student Team Championship held in Teesside, England, where he achieved the best result for the fourth board by scoring 8 points out of nine. 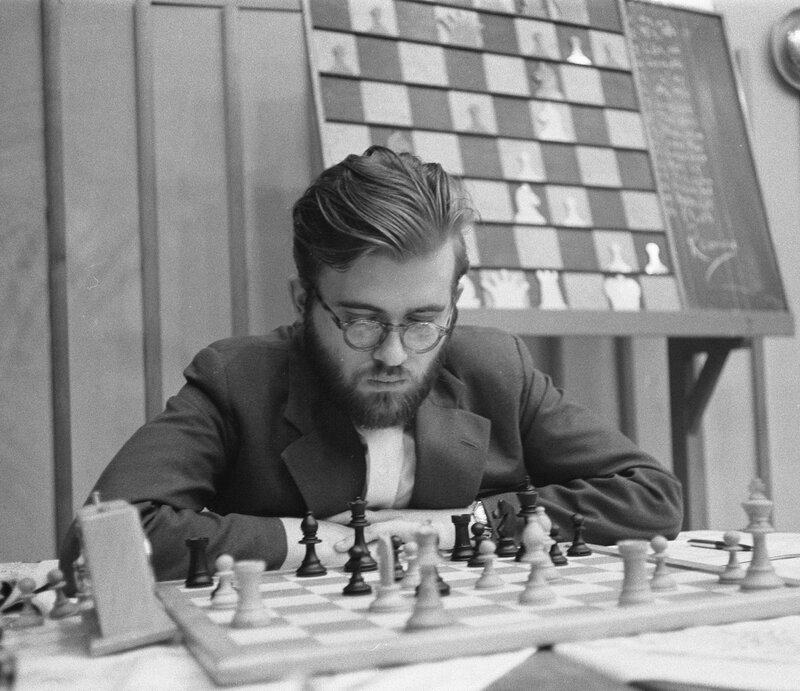 The following year, he achieved a great result at the Soviet Union National Championship, sharing second place with Boris Gulko, Mikhail Tal and Rafael Vaganian, arriving only after Tigran Petrosian. In 1976, at the age of 19, he achieved the title of Grand Master. Romanishin has an impressive collection of tournament victories, including Odessa 1974, Novi Sad 1975, Yerevan 1976, Hastings 1976/77, Leningrad 1977 (shared with Tal), Gaus from 1979, Polanica Zdroj 1980, Lviv 1981 (shared again with Tal), Jurmala 1983, Moscow 1985, Reggio Emilia 1986 (shared with Andersson and Ljubojević) and Debrecen 1990. In the Hungarian Open Championship in Györ, in 1990, concluded with two points ahead of the second. In Tilburg in 1979 (in a very strong tournament) he finished second behind Karpov and in Dortmund in 1982 again second after Hort. Today he is less active as a tournament player and tries to sip his holdings with care by choosing only quality tournaments. However, Romanishin still has a great fighting spirit, in many cases achieving victory as in Solin-Split in 2004 and the Petra Hotel Tournament in Rome in 2005. At the Olympics he represented the Soviet Union in 1978 and thereafter played for Ukraine until the 1990s, winning a total of 2 silver and 2 bronze medals. At the European Team Chess Championships his medal count reached the incredible result of 6 golds and 1 silver. His style of chess has been described as aggressive and this could be the result of the approach he received from a young age. In fact, together with a group of other young aspiring champions, he was first instructed by Viktor Kart (an instructor from the Lviv Sports Academy) and then, given his talent, he was assigned a Tutor exceptional: Mikhail Tal, a former world champion known for his sparkling attacking game that profoundly marked the young Oleg impressing on him that inimitable style he still possesses. Oleg Romanishin was not only a great player but he is considered a Father of Openings Theory. In fact, he has the merit of having revitalized gaming setups that have long been set aside, giving them a new tactical life. Only through research and careful preparation he was able to use these openings as weapons to get beyond chess theory and fight for the point. An example is 4. g3 in the Nimzo-Indian Defense. Previously known in the 1930s and resurrected by Romanishin in the 1970s, the variation now bears his name in the opening manuals. The new popular variations derived from Be7 in the French Defense, were also improved by him in the 70s and were later further perfected by GMs like Morozevich and Short in the most recent practice. This great player will therefore do us the honor of running the Cattolica Chess Festival from 8 to 14 June, and will surely make life difficult for many players during the competition. But not only. The news does not end here. In fact, Oleg will hold a MasterClass about the Art of Analysis in Chess and how to apply during the game, in an evening to be defined during the Tournament, of which we will soon be reporting on these pages. The 6th Chess Festival of Cattolica therefore boasts a new star that will surely contribute to shining a tournament that promises to be one of the most interesting and strongest played in Italy in recent times.